Our North Carolina service center, comprising 25,000 square-feet on a 4-acre site, provides the very latest in service and repair of Industrial Electronics. When you need industrial electronic repairs, maintenance or application assistance, turn to the company with over 100 years of industry experience: TEAMSESCO! We’re proud to offer round-the-clock service and support 24 hours a day, 7 days a week and 365 days a year to make sure your production lines stay up and running. Our comprehensive industrial technology services are performed by factory-trained technicians who are committed to quality, value and superior service for every customer, every time. From servo repairs and AC/DC drive support to new product sales and specialty applications, you can trust TEAMSESCO for all of your industrial electronics equipment needs! In TEAMSESCO’s continuing effort to minimize downtime for our customers, we proudly accommodate a range of needs, adapting our repair and new product application services to suit each facility’s unique and specific requirements. Based in Greensboro, NC, TEAMSESCO provides repair services for industrial plants nationwide. Our 25,000 sq. ft. industrial electronics repair facility allows us to provide the very best quality for our customers, using our inventory of over 1,000,000 repair parts as well as state-of-the-art testing equipment and our team of highly skilled, factory-trained technicians. Call TEAMSESCO for Fast Turnaround, 24/7 Service & Guaranteed Repairs! For complete industrial technology services, including troubleshooting, start-ups and 24/7 emergency repairs, call TEAMSESCO! When a breakdown happens, we provide the fast turnaround, dependable services and high quality equipment necessary to keep your plant running. Our industrial electronic repair services include PLC repair, AC/DC drive repair, display and touchscreen repair, servo repair, printed circuit board repair, power supply repair and more. 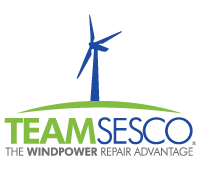 TEAMSESCO is also proud to provide a range of repairs and support for non-standard, unconventional products as well as specialty markets. To receive a price quote, search your model number in our extensive online database, or simply send your item to our Greensboro, NC industrial electronics repair facility for a free, no-obligation evaluation!